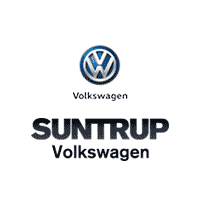 When you choose a used car at Suntrup Volkswagen, you’ll be purchasing a model that you can depend on for years to come. Our pre-owned vehicle specials make it easy to find a used car you’ll love, for less than you’ll pay elsewhere in the St. Louis area. Even if you don’t select a Volkswagen, you can be confident that your choice has been thoroughly inspected for quality. Priced below KBB Fair Purchase Price! Clean Vehicle History, Leather, Local Trade, One Owner. Race Red 2018 Ford Mustang GT Premium RWD 10-Speed Automatic The Suntrup Pre-Owned Super Center is the "Home of the Lifetime Powertrain loyalty program." With a dedicated facility and staff, here to cater to all your pre-owned needs, we are able to buy and sell cars from all over the metro area. Whether we are in your backyard or you have to cross a river to get to us - as a Women's Choice Award Winner, Dealerrater Dealer of the Year, Google reviewed or Better Business Bureau A+ rated - you can be sure that our expansive inventory, superior customer service, and "no haggle" upfront pricing guarantee this will be the best buying experience of your life! 5.0L V8 Ti-VCT Odometer is 1939 miles below market average! Once you’ve had the opportunity to explore our pre-owned vehicle specials online, we’re sure there will be more than a few models that you’d like to check out in person. Start your next adventure by contacting our team and scheduling a test drive near Mehlville. We can’t wait to see you behind the wheel, and we’ve worked to streamline and simplify the car buying process for our neighbors. After you’ve found the Volkswagen used vehicle special that fits perfectly with your budget, value your trade-in and calculate your monthly payments online.